Forget that Night of the Demons tux! You need Punk Stuff!! Established in 1999, this progressively cool company has been, excitedly, offering off-center tees, hoodies, patches and buttons for the outsider in us all. 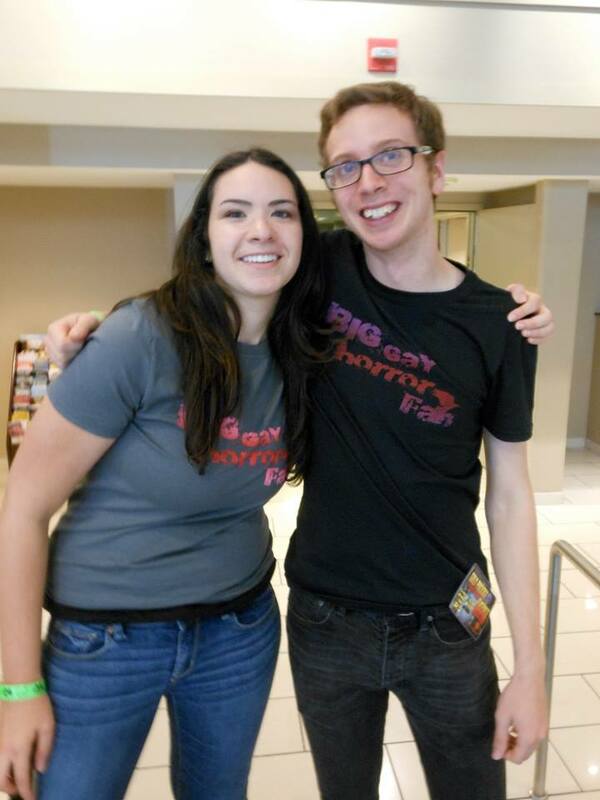 A new addition to fan cons, these artsy maniacs have recently produced a line of horror and science fictions tees including everything from Motel Hell to Videodrome to House to Megaforce. I am definitely more Barbara Steele than Judy Garland – but whenever I hear the phrase trunk show, I always think big production numbers and A Star is Born. Thankfully, amazing horror entrepreneur Pretty Spooky is definitely more on the Italian terror side with an awesome upcoming event featuring her awesome t-skirts (made from genre film and rock t-shirts). 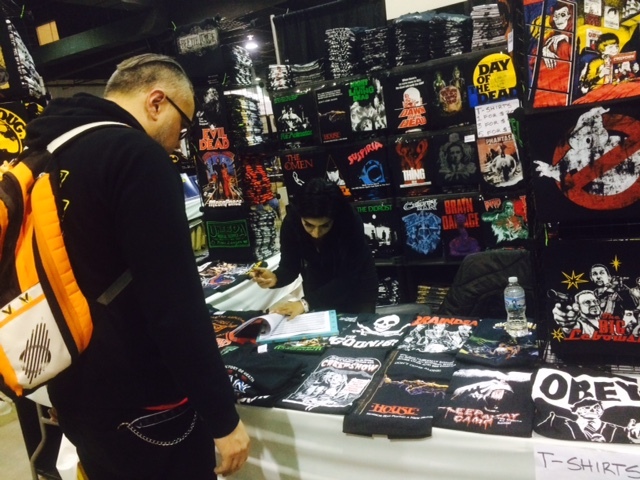 Yes, Chicago’s historic punk clothing store, The Alley, and Pretty Spooky have joined forces for an amazing evening of shopping, fun and prizes! So, if you are near 3228 N. Clark Street on November 30th (2013) be sure to stop in for the most perfect Black Saturday event of all time! 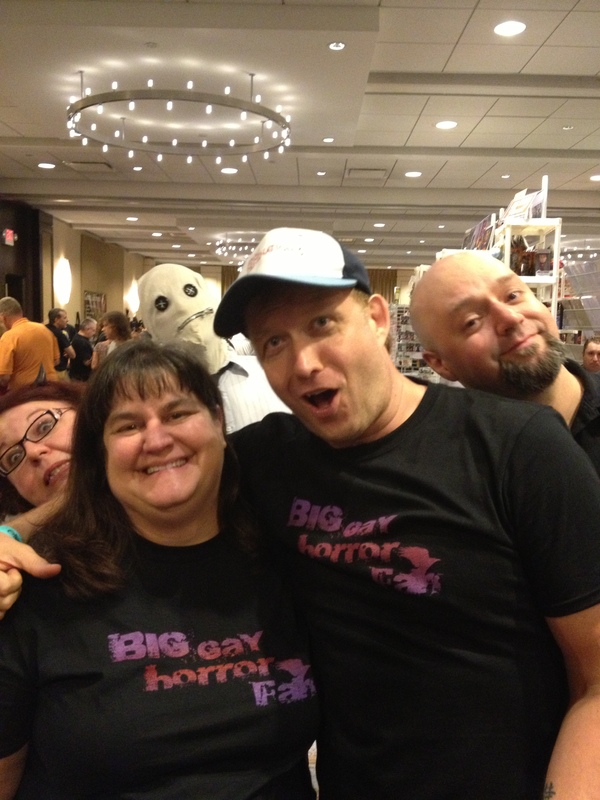 And until the next time – SWEET love and pink GRUE, Big Gay Horror Fan! 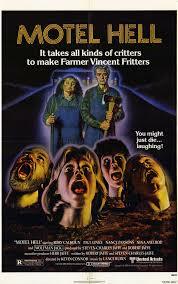 Telling Don’t Be Afraid of the Dark/Curse of Michael Meyers’ illustrious Kim Darby about the wonders of Chris MacGibbon! To be constantly humbled and honored by folks in this life is an amazing thing. 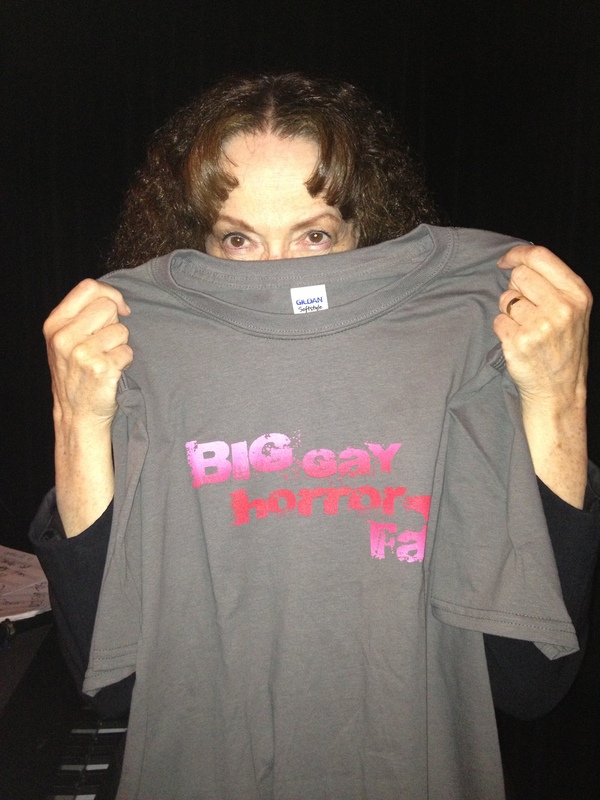 This past winter, designer/radio-host/man-about-town Chris MacGibbon created a (brilliant) logo for Big Gay Horror Fan. It was an amazing surprise. Then — he generously let me use the design for a t-shirt giveaway, this August. Fun, mayhem and (much) gayness ensued! With a huge and grateful thank you to Chris, here are some quick pics of the cloth bound horror happiness. Be sure to check out Chris’ other designs at https://www.facebook.com/CMacCustomDesigns, as well! Queer horror historian Aaron Eischeid and friend! Kevin Strange from Strange Books! The awesome Dawn Kitley (and crew) from Kitley’s Krypt! That ain’t no Killer Bong! That’s the adorable Robin Sydney! Getting some support from the stars of Final Girls! 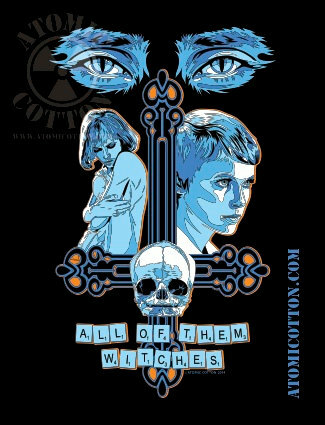 New Nightmare’s Miko Hughes knows what’s happening in fashion! Sending the lovin’ where it belongs! Smooching on Kryssie Ridolfi from Deadman’s Wake! “Mommy – I want to play with you, next!” With Denise Crosby! Leveling out the family photos with ‘Daddy’ Dale Midkiff! Don’t YOU try this at work! Oh – go ahead!! Jazz Legend Judy Roberts conjuring the gypsy from the original Wolf Man. The ever adorable Ms. KP, a Chicago horror mainstay! Ending with a little love from THE Goddess, the super-amazing Meg Foster! 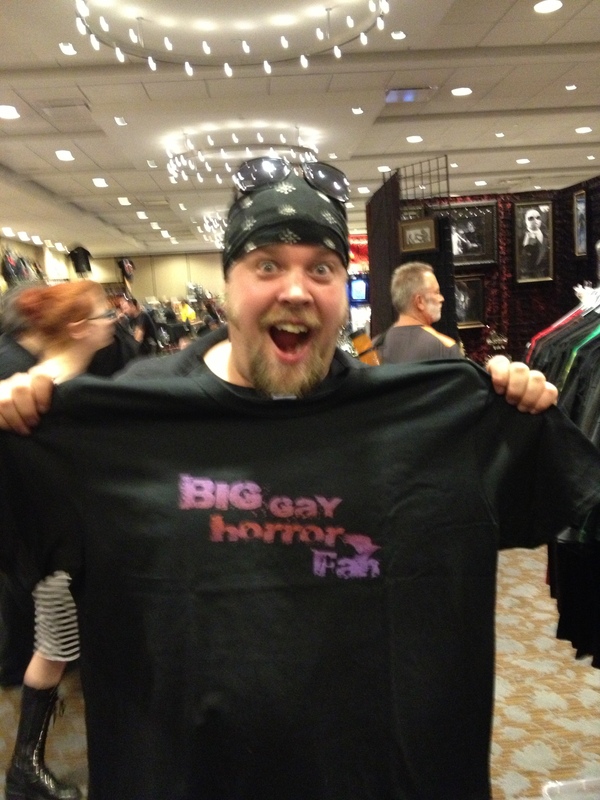 As always, Big Gay Horror Fan remains, fully clothed, at http://www.facebook.com/biggayhorrorfan, as well. Until the next time – SWEET love and pink GRUE!